SSLC kicks off every new academic year with FreshCon in late August during the University of Maryland's New Student Welcome weekend. FreshCon is the largest event at the university dedicated to preparing Black students for academic and professional success. 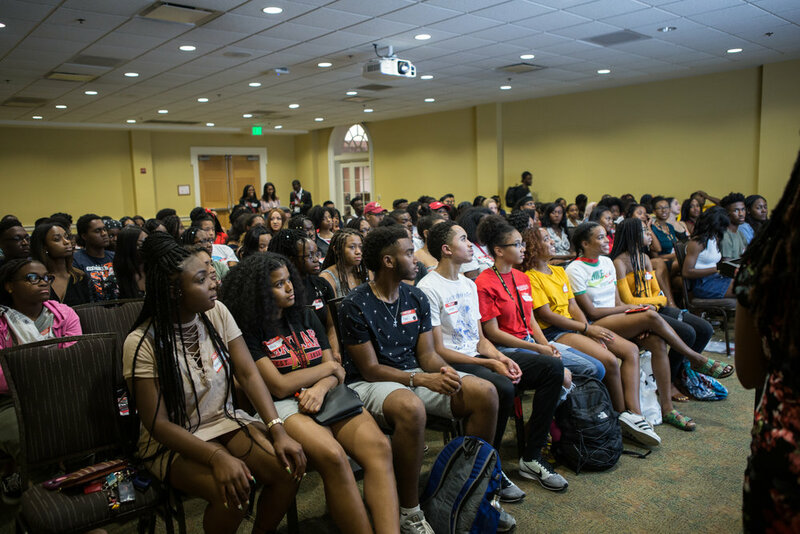 Students have the chance to explore various organizations and resources on campus relevant to the Black community, including the Black Student Union, the University Career Center, and the Office of Multicultural Innvolvement and Student Advocacy. FreshCon allows new students to learn from older students about challenges that will occur during college and how to overcome them through breakout sessions on personal branding, forming social relationships, and academic success. New students have fun experiencing their first roll call, earning prizes, eating free pizza, and getting a free FreshCon t-shirt and a "Guide to Graduation" handbook. They will also sit through student performances and wise words from a prominent Black Terp alumnus. In early November, SSLC hosts NetNite. This event connects alumni and current students, presents invaluable tips on how students can prepare for academic and professional success, and further cultivates a culture of excellence. NetNite allows students the space to learn from people who used to be in their position. The key to success in any career is networking, so this event is designed to emphasize not only making those connections, but continuing these relationships after the event. Students and alumni walk away from this event not only with a full stomach, but with a headshot to add to their LinkedIn profiles. Attendees with LinkedIn profiles are encouraged to join the Student Success Alliance Network LinkedIn group. This part of the program is a chance for students to learn from Black alumni within multiple career fields about a range of topics. These topics are meant to instill confidence and inspiration in attendees about career development. In partnership with the University Career Center & President's Promise, SSLC hosts Success Week during the fall and spring career fairs. This week is filled with workshops preparing students for networking events and ends with the Brunch for Success. This brunch is a reception with 25 industry professionals providing career tips and opportunities to students with a diverse background.